For the first time in its 128-year history, The Vermont Cynic, UVM’s student newspaper, has won college journalism’s top prize, the Newspaper Pacemaker. The award was announced Saturday at the National College Media Convention in Orlando. Judges select winners based on newspaper coverage and content, quality of writing and reporting, leadership on the opinion page, evidence of in-depth reporting, design, photography, art and graphics, according to the website of Associated Collegiate Press, which co-sponsors the award with the Newspaper Association of America Foundation. Pacemakers are selected by the staff of a professional newspaper or news organization, ACP officials said. Students from The Vermont Cynic, UVMtv and WRUV-FM attended the National College Media Convention Saturday in Orlando. 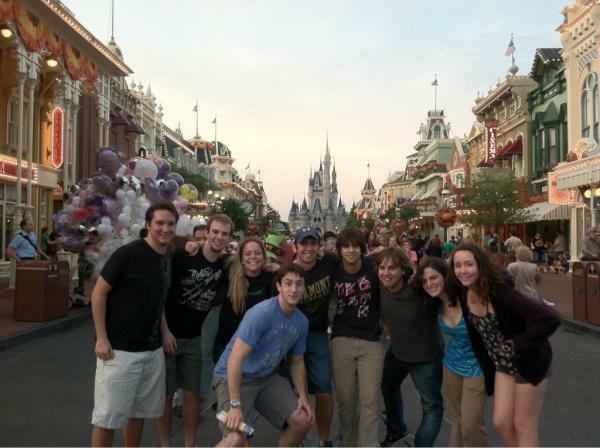 After the awards ceremony, at which the Cynic received its Pacemaker, the students celebrated at Walt Disney World. Cynic Editor-in-Chief Natalie DiBlasio and Managing Editor Jeff Ayers accepted the award on behalf of the entire staff, many of whom chimed in on the Cynic’s Facebook page immediately following the announcement. The 2011 Pacemaker award recognizes excellence for the 2010-2011 academic year, which began under the leadership of Haylley Johnson as editor in chief and Elliot Dodge Debruyn as managing editor and then finished up under the leadership of DiBlasio and Ayers.